As you plan your next home improvement or construction project, it is important to consider all of the factors that go into a successful strategy. From plumbing and pipe fitting, to home décor and cabinet installation, it is ever more important to do your research, gather the correct tools and obtain a good working knowledge using them. Rather than leaving it to the professionals, why not learn something new and reap the rewards of your own handiwork? Read our pros and cons of starting your own DIY project and discover whether it’s the right choice for you. 1. Budget. Sometimes hiring a contractor just isn’t plausible when you’re working with a tight budget. When you conduct the project yourself, you can decide what tools you need to buy and how much you’re willing to pay. Without the added payment of labour costs, it really does go without saying that DIY projects are perfect for those enthusiasts that want to save a little money. Should you require an affordable range to hit the ground running with your project, check out our high-quality laser levels by clicking here. 2. Skill-building. Throughout the years, it is a given that things around the household might break and that décor will need updating. Whether it’s general maintenance, a room upgrade or common repair work, tackling the challenge yourself helps you to understand how everything works and build valuable skills – no longer will the prospect of a botched door frame or leaky pipe worry you as doing it yourself improves your own expertise for future projects – resulting in future savings. Ready to get started? Check out our essential ‘must-haves’ to get a project going by clicking here. 3. Flexibility. Hiring a professional means that you’re fixed to their timeframe. Typical working hours are 9-5pm, which isn’t helpful if you need to be around and you’re at work yourself. DIY enables you to be flexible with the time it takes to get the project finished; working in your free time or on the weekends guarantees that you not only oversee the work every step of the way, but also that contractors aren’t disrupting your own routines. Require a faster and less disruptive finish with your project? Check out our accessory range that will not only make the job easier to complete, but also improves precision and speed – just click here. 1. Expertise. If you’re at the point of considering whether or not a DIY project is for you, then more likely than not, this is your first project. This could potentially result in a steep learning curve for those without expertise, triggering a significantly stressful process and possibly ending with costly reworks. You should begin your DIY project if you’ve done your research and feel confident in your skills. To consult an expert, our specialist team are more than happy to assist and advise you on a range of DIY instruments including Laser Levels, Laser Distance Meters and Measuring Wheels – just contact us at sales@datumproducts.com. 2. Time. Sometimes, people can underestimate just how long a project can take. If you set aside a day, but it actually requires a week, your DIY aspirations may be hindered if you have other commitments. All that work, with what seems like little pay off, may be disheartening to a beginner and the pressure might discourage perseverance. Know your limits – if you’re following a guide or advice from a professional, keep in mind that you’re working to your own timescale, not theirs. Beginners will need more time to complete tasks than an experienced contractor. Using the correct equipment will increase productivity which means you can complete the job fast and efficiently. Check out our impressive range here. 3. Errors. Whilst you’re saving a noteworthy amount of money not employing contractors, don’t forget the possibility of making mistakes if you take on more than you can handle or you choose the wrong tools. You may end up with something you don’t want or make an error that is beyond your skill-level to fix, meaning that you could actually end up losing money and paying someone else to rectify the damage. If you crunch the numbers and find it may just be more feasible to pay extra for a contractor for added security, then let that put your mind at ease. Nevertheless, despite of all the cons, once you’ve bought the tools you’ve got them for future projects – so think of it as an investment. And if you source the best quality equipment at a low price – you’ve got yourself a worthwhile venture on your hands. To ensure you choose the correct tools, get in touch with our expert team at sales@datumproducts.com. If you’ve weighed up the pros and cons, you’ll know whether or not you are ready to take on the DIY project yourself or leave it to the professionals. It is important to note the size of the project however, you could take the middle road and let a contractor complete a job that’s beyond your capabilities whilst you work on smaller jobs to save on money and build up your own skill set. 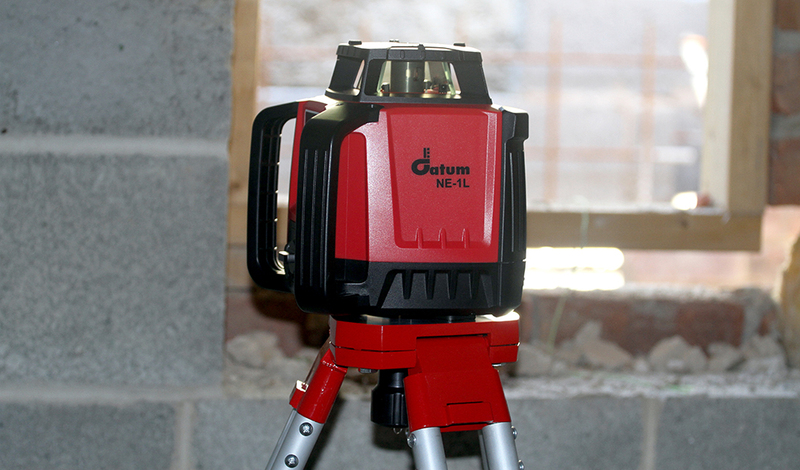 Here at Datum, our vision is to deliver high quality equipment at an affordable price. If you feel ready to take on the DIY dream – discover our full range here.